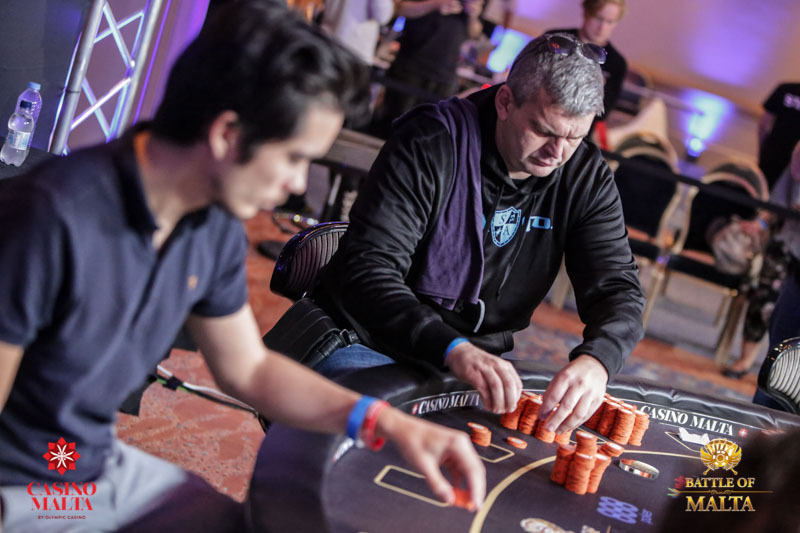 Ostergaard found A♥ A♣ on the button and raised to 1.9m. In the big blind Maxime Canevet defended with A♠ 5♠. The two of them saw a flop. Top-Pair vs. Top-Set – this flop hit both players quite well. But both checked. Again Canevet checked his top pair. Now Ostergaard bet 4m and Canevet called. Another check by Canevet and Ostergaard now bet 4m again. Canevet called and lost the showdown. Canevet is down to 8 big blinds with this hand. The deal he made when he was still overwhelming chip leader is looking good now.